Your anti-lock brake system, or ABS, consists of a hydraulic control unit (HCU), an anti-lock brake control module and both front and rear anti-lock brake sensors. When you apply the brakes, you essentially force brake fluid from master cylinder outlet ports to HCU inlet ports. From the HCU, pressure is transmitted through four solenoid valves to each wheel and your vehicle comes to a stop. During an emergency stop, the ABS modulates brake pressure in order to prevent wheel lock-up. If you would like to learn more about ABS, we invite you to drop by Meineke #153 in Ferguson, MO. Our friendly specialists know all about anti-lock brakes and how to care for them. Anti-lock brakes offer many benefits to drivers. The key advantage is that ABS brakes allow you to more safely stop in slippery conditions. Some drivers rely on their ABS brakes to help them stop within a shorter distance as well. Although an ABS system cost does add to the price of repairs, the technology is standard on most vehicles now. Without this system, you may lose money during the resale of your vehicle. 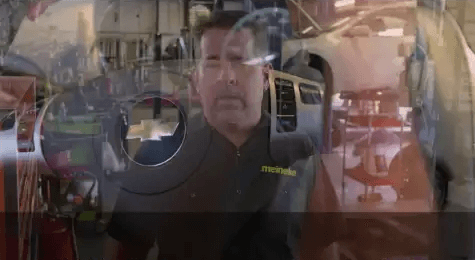 The professional technicians at Meineke #153 in Ferguson, MO repair and install ABS brakes and we offer silicone brake fluid and mineral brake fluid to maintain your system. Drive safely on icy, snowy, and wet roads any time of year. Your ABS is a crucial safety feature. Fortunately, there are several warning signs that will allow you to get it repaired before it fails. Many cars today have an ABS warning light. If yours comes on, take your car to a mechanic and have it checked right away. Other red flags for impaired anti lock function include brakes locking up at odd times, brake pedals that do not respond to pressure and a greater amount of pressure being needed to brake. If you notice any of these, it is time for an immediate check-up. Stop at Meineke #153 in Ferguson, MO to learn about ABS system cost for repair or replacement. Sometimes a mechanical issue with your car pops up without warning, catching you completely off guard. With brakes, however, you often get a signal that trouble might be brewing. Have it checked out promptly by taking your car to Meineke #153 in Ferguson, MO. If you ignore the problem, you may soon face serious issues with your car and more expenses when the problems that develop must be fixed. Even more important are the safety risks when you wait too long to have faulty brakes repaired. 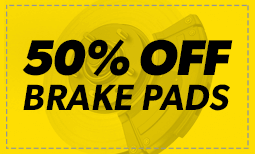 If you are accustomed to bringing your vehicle in to Meineke #153 in Ferguson, MO, for routine inspection of your anti-lock brakes, you already know that this represents big cost savings. You might need a minor part or some brake fluid added to the system, and this kind of service can be done quickly and inexpensively. If, however, you have worn brake pads, replacement will be required and you should have that done as soon as possible. Brakes of any kind are designed to wear out, and brake pads are only one component that might need replacing. We will assess any brake problems you’re having and recommend the most appropriate solution. If you are thinking about replacing your anti lock system, a reputable service center can help you choose the best one for your car and help you ensure optimal function. Today’s manufacturers are continually improving sensitivity and reaction time in order to improve safety. As part of your brake’s mechanism, your ABS is affected by the type of brake fluid you use. High quality fluid is less prone to clogging your valves, so it is important to know where to buy brake fluid that is right for your system. Ask the professionals at Meineke #153 in Ferguson, MO about replacing and maintaining your ABS, as well as brake fluid cost.